When you hover on a staff's name you will find the option Manage Permissions which takes you to a new page from where you can manage individual staff privacy. Some options will be enabled by default. Others will be unchecked. Vendor has full control over what menu and features he wants to show to each staff. If vendor does not enable a menu from Manage Permissions, staff won't be able to view the options for that menu in staff dashboard. 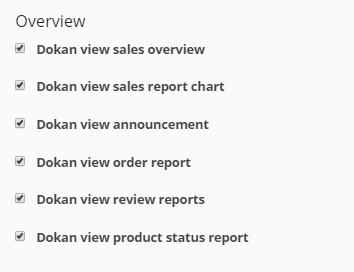 The Vendor first has to enable Dokan view overview menu under the Menu tab. After this, the vendor can check/uncheck the options he wants to show to the staff as he wishes. In this scenario, the vendor has checked all the 6 features under the Overview section. Therefore, the staff will be able to see all functions. 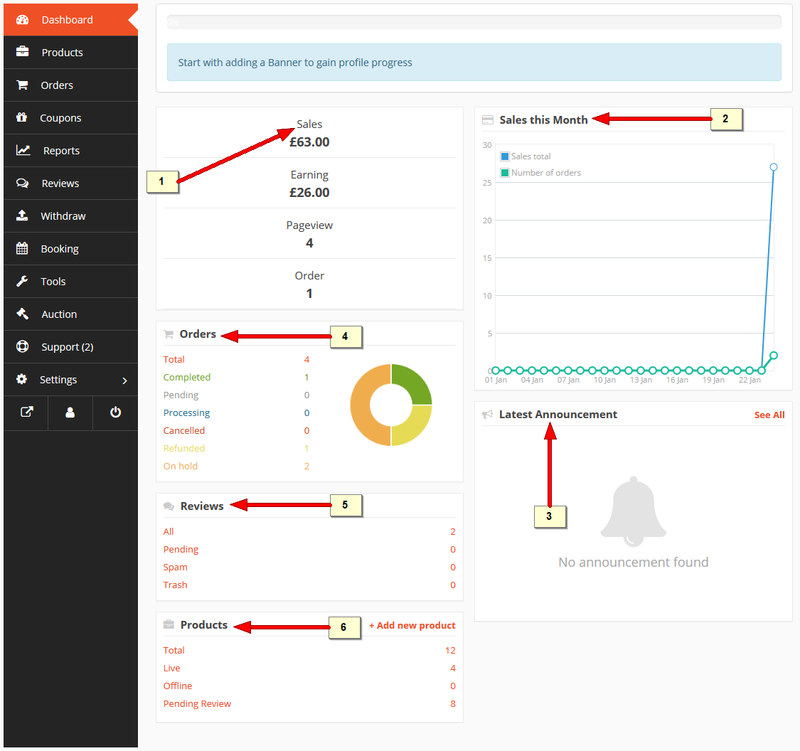 Similarly other features can be enabled/disabled from vendor's dashboard for each staff. And the changes will take place immediately. 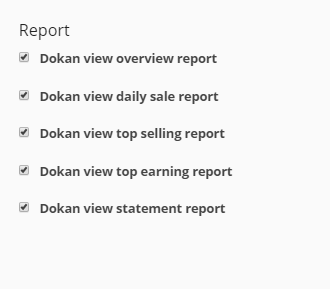 The vendor can enable the Report features he wants the staff to see/perform by clicking on the checkboxes beside each feature. 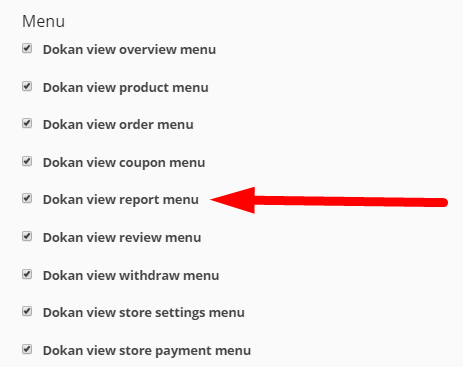 Vendor also has to enable the Dokan View Report Menu option under Menu. Without enabling the menu, the feature options will not display. 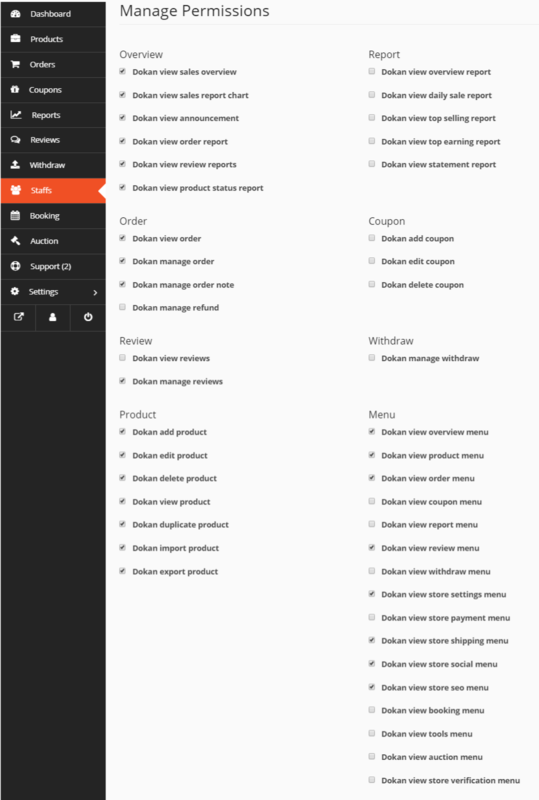 The vendor can enable the Order features he wants the staff to see/perform by clicking on the checkboxes beside each feature. 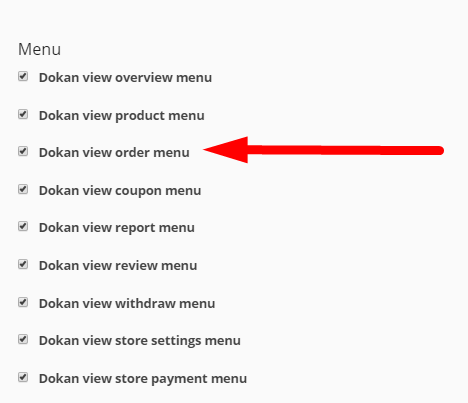 Vendor also has to enable the Dokan View Order Menu option under Menu. Without enabling the menu, the feature options will not display. 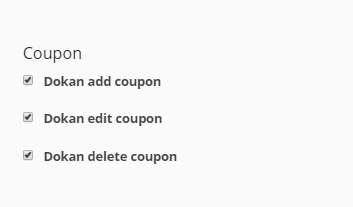 The vendor can enable the Coupon features he wants the staff to see/perform by clicking on the checkboxes beside each feature. 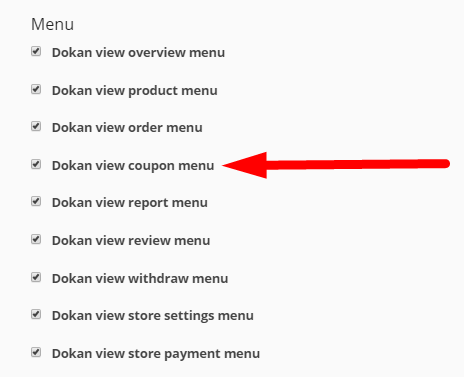 Vendor also has to enable the Dokan View Coupon Menu option under Menu. Without enabling the menu, the feature options will not display. 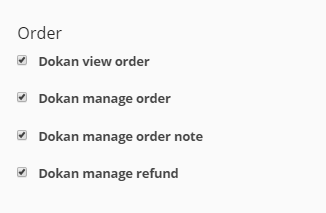 The vendor can enable the Review & Withdraw features he wants the staff to see/perform by clicking on the checkboxes beside each feature. 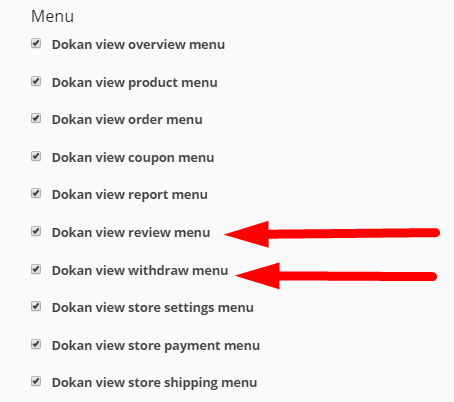 Vendor also has to enable the Dokan View Review Menu and Dokan View Withdraw Menu options under Menu. Without enabling the menu, the feature options will not display. 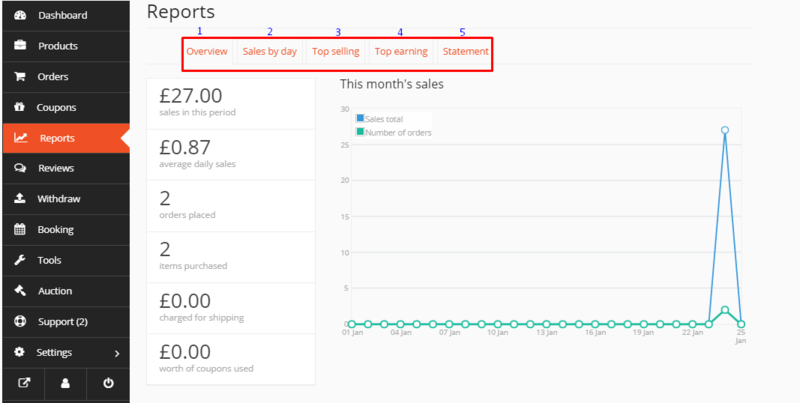 The vendor can enable the Product features he wants the staff to see/perform by clicking on the checkboxes beside each feature. 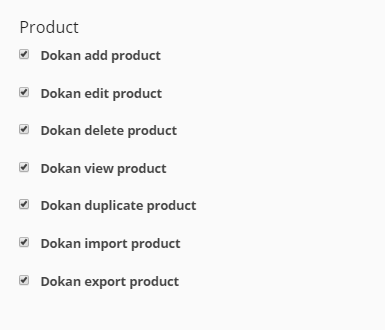 Vendor also has to enable the Dokan View Product Menu option under Menu. Without enabling the menu, the feature options will not display. 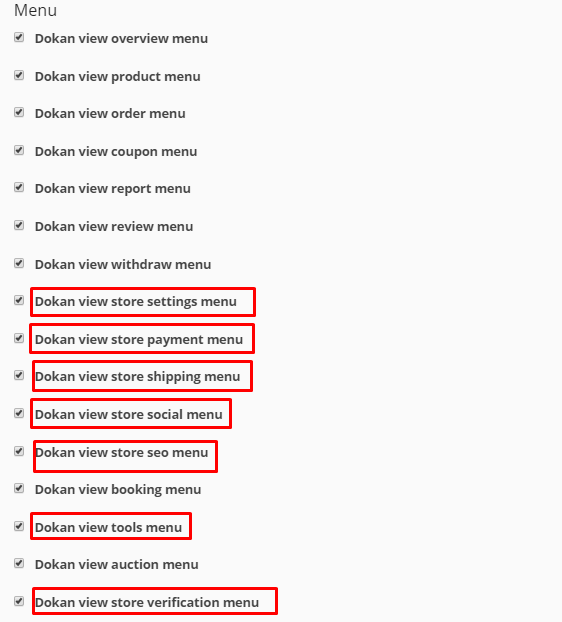 The remaining menu options relate to Tools and Store Settings, Payment, Shipping, Social, SEO and Verification, as highlighted in the image below. 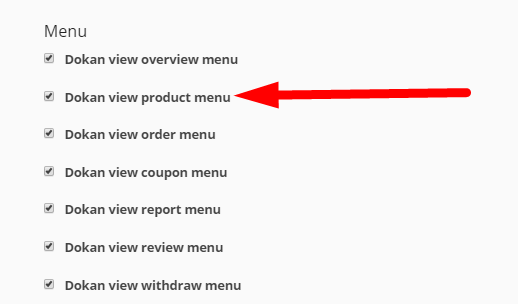 If the vendor enables all menu relating to Store Settings, the staff will be able to view all the Store feature options from his dashboard. 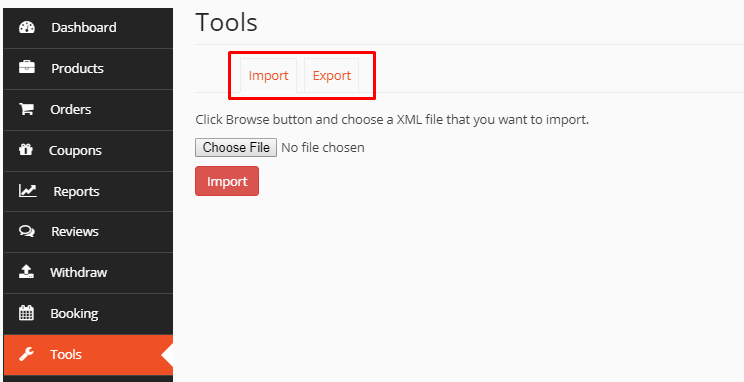 Similarly, if the vendor enables Tools menu for the staff, he will be able to import and export data in XML form from his dashboard.